UPDATE: This quilt shop has closed. 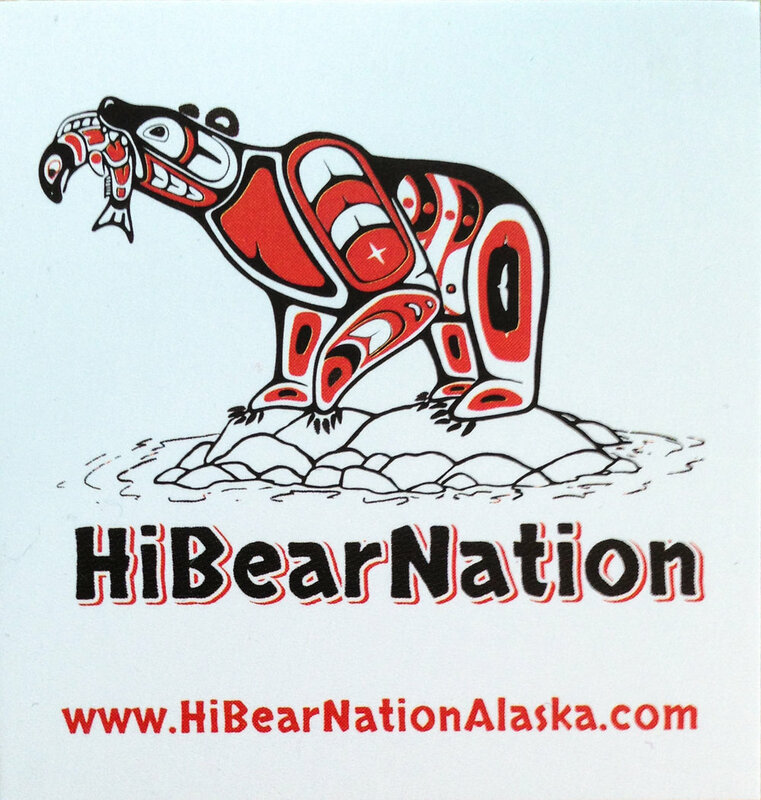 HiBearNation is a brand new quilt shop on Icy Strait Point in Hoonah, Alaska! This shop had only been open for four weeks when I visited but there were tons of neat stuff to look at and buy! I spent lots of time looking through the fat quarters and bolts of neat Alaska themed fabric. They told me more would be arriving soon! I picked up some beautiful fabric with spruce trees on it! After that, I wandered the rest of the shop looking at all the patterns and kits by local designers and some made by the shop owner too. There was also soft, tempting qiveut (kiv-ee-ute) yarn (yarn made from musk ox undercoat which is softer than cashmere and 8 times warmer than sheeps wool) and items made from the yarn like fingerless gloves and scarves. And I can't forget to mention the neat mesh bag kits, wall hanging kits that require no sewing, Christmas ornaments (kits and complete ones), and cross stitch patterns. Not pictured due to the volume of traffic is what you seen when you enter the shop. Right in front of the cutting table there is a sewing machine where demo sewing is done. At one point a group of children were gathered around asking fascinated questions as employee Mary Kanikeberg showed them the basics of working with the machine. I got to spend some time visiting with Mary and owner Robbie Burns. 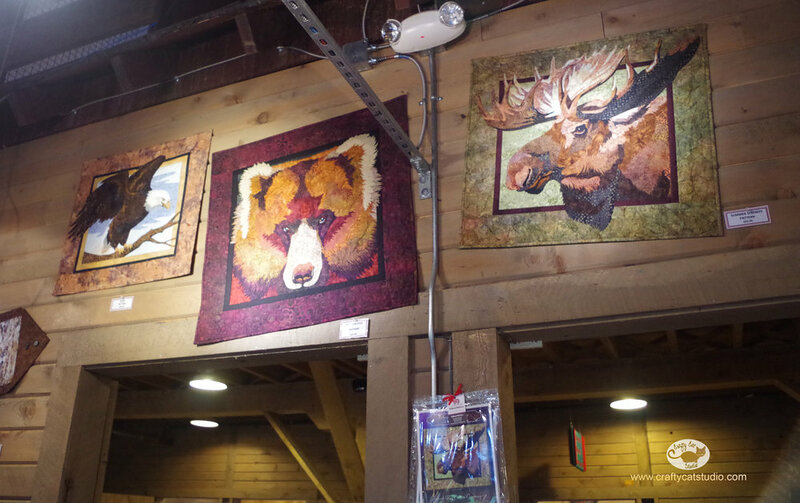 We talked about bears, art quilts, and patterns. They are both very knowledgeable and great fun to talk to! I'm so happy I found this shop! HiBearNation has a new website up at www.hibearnationalaska.com! Check it out for their latest news, a video tour of the store, and contact information! If you get the chance to visit Icy Strait Point make sure to visit HiBearNation! Or jump ahead to the specific article you want to read in this eight part series!